• From the good-news-for-once department, word that 42nd Street's monumental Hotel Tudor sign has come back alight. 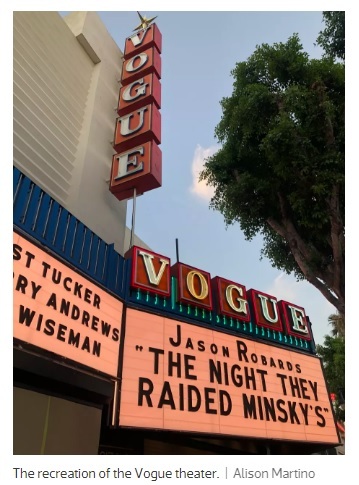 • I'm on TV! Talkin' Neon at Let There Be Neon with Ovation TV's Kyle Supley. • Way out west, director Quentin Tarantino has done a serious solid for admirers of LA neon: for the production of his next film "Once Upon a Time in Hollywood" Tarantino has "recreated old theaters and storefronts with astonishing detail." 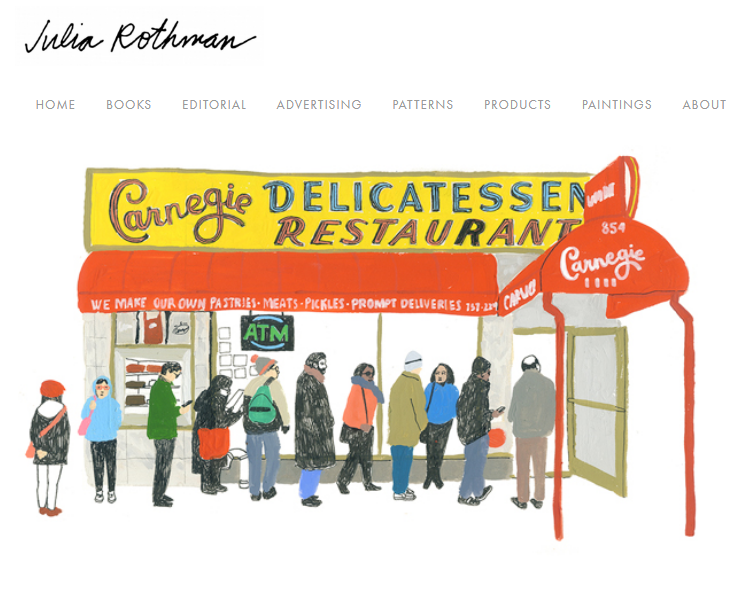 • I'm a little behind the ball on posting this one, but don't let that stop you from enjoying this graphic tribute to the late Carnegie Deli by illustrator Julia Rothman. 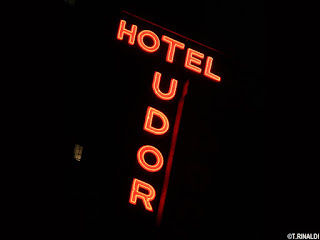 • Let there be ... another NEW YORK NEON WALKING TOUR! But it's already sold out, alas. This tour is sponsored by the Greenwich Village Society for Historic Preservation and is currently available for GVSHP members only. Stay tuned for news of future tours, which will be reported at this blog. 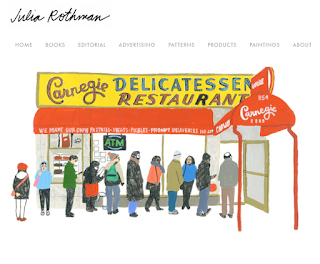 • From the not-neon-but-still-interesting department, feast your eyes on a selection of NYC's Italian culinary signage via the Ephemeral NY blog. > Not neon and not NY but a sign so fantastic that who cares. > Neon New Mexico, 1940. 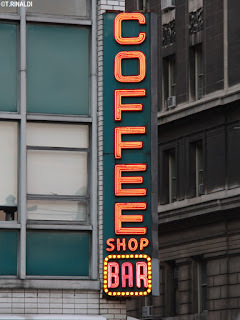 • Union Square's Coffee Shop, whose glorious vertical sign is a perennial favorite among admirers of New York neon, has joined the endangered list with the restaurant's closing announced for this October. See this coverage at Jeremiah's Vanishing New York, and at Eater. 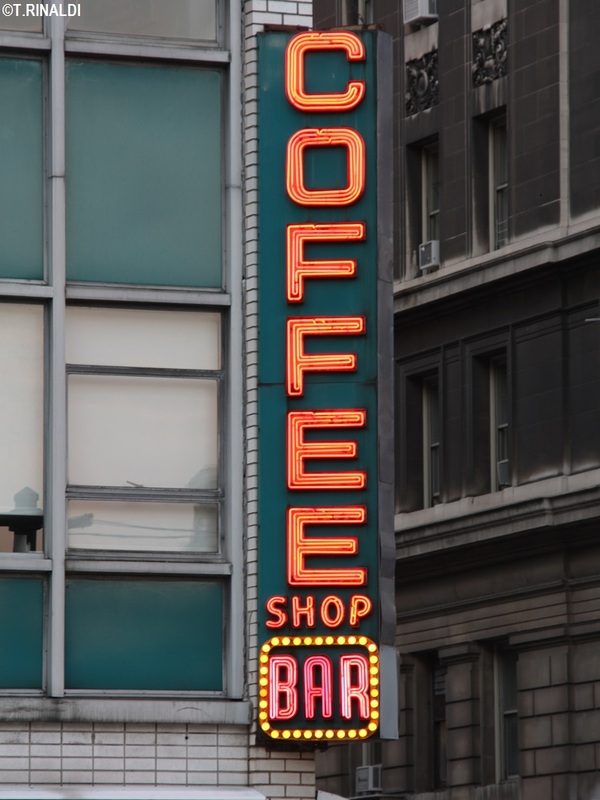 > Old Town Bar and other neon landmarks of New York on canvas, by artist Borbay. > More fantastic neon on canvas by Mary Anne Erickson. > Radio City neon in the distance in this 1936 view by John J. Soble, via Ephemeral NY. 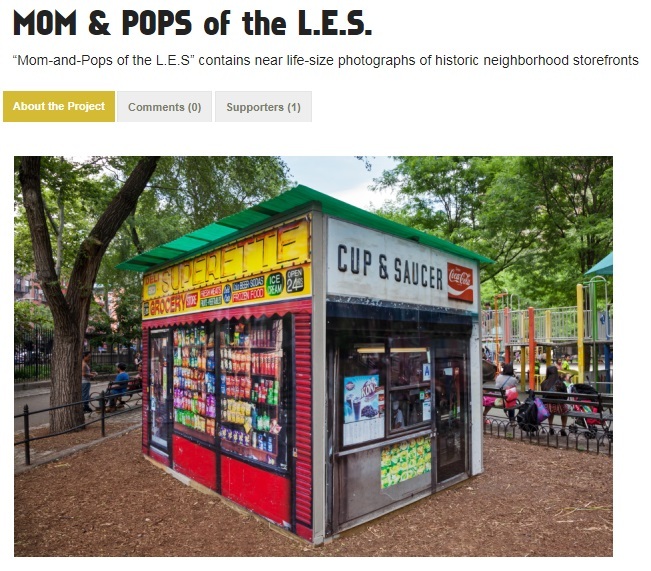 > From photographers James & Karla Murray, a crazy cool display of "Mom n Pops of the Lower East Side" is on view outdoors at Seward Park . . . and indoors at the Storefront Project on Orchard Street. • In the great southwest, Debra Jane Seltzer has undertaken maybe her most comprehensive documentary road trip yet: California to Tuscon Parts 1-30, starts here. • The Times pays a visit to Lite Brite Neon of Gowanus in a piece on artists and artisans.